Critical for UK Property Investors: The reason for mentioning this is for UK property investors, beyond any doubt, it will be the tipping point for either housing prices and rents continuing to rise, or house prices dropping sharply and rents probably rising. Uncertainty: Despite all this, house prices increases have levelled off. The reason for this in our view is obvious. The market – the average person – its petrified to buy property just before the election – because if Labour get in, house prices and their investment will slide. They will lose money. Its nothing else but this. Mansion Tax Threat: Things are therefore in a holding pattern waiting to see if Labour will implement their so called “Mansion Tax” on flats and small terraces in London. This would drive wealthy international people overseas t other countries and the economy will be far less dynamic because of this. This could also impact mid level properties as confidence drops and people start to think this stealth tax will affect them in years to come. Don’t Invest Right Now: We wouldn’t advise anyone to purchase property in the UK at this time – returns are highly dependent on who gets into power after the Election. 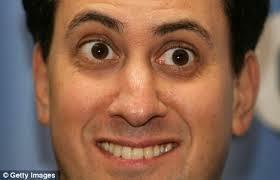 If Ed Milliband and Ed Balls are running the country – we think property prices will drop very sharply. Impossible to Predict: Because the election outcome is so uncertain, impossible to predict and also so important for the forecast of the economy and hence house prices, we modelled the two potential outcomes which will occur a few weeks ago, either 1) Tory Coalition or Majority; or 2) Labour Coalition or Majority. Our view has not changed recently. Unemployment will then rise, GDP growth will decline and house prices will drop sharply along with this. If Labour form a Coalition with the Liberal-Democrats or SNP, the outcome will be the same since all three parties have similar left wing policies. The socialist government will precipitate a similar outcome to the French socialists currently in power – namely economic decline/stagnation, low growth, high tax, lower confidence levels and higher unemployment. Tipping Point: This chain of events is fairly predictable in an economy which is out of favour with international financial markets and investors. We have to remember the UK is an island, not part of the Euro, has very liquid markets and hence a run on Sterling would be an outcome of a Labour victory as the Treasury finances deteriorated and putting up taxes had the consequence of destroying businesses and eventually reducing overall tax take. Europe Angle: The uncertainty in whether the UK remains in Europe or not would add another layer of political complexity. Interestingly this might be more under a Tory Coalition with a potential supply-delivery agreement with UKIP – with UKIP wanting to drive the UK out of the European Union. This would likely not be good for overall business – particularly in the short-medium term.